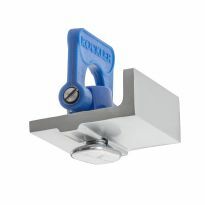 Automatically adjusts for thicknesses from 0'' to 2-3/4''—securing your work is as fast and easy as flipping a switch! 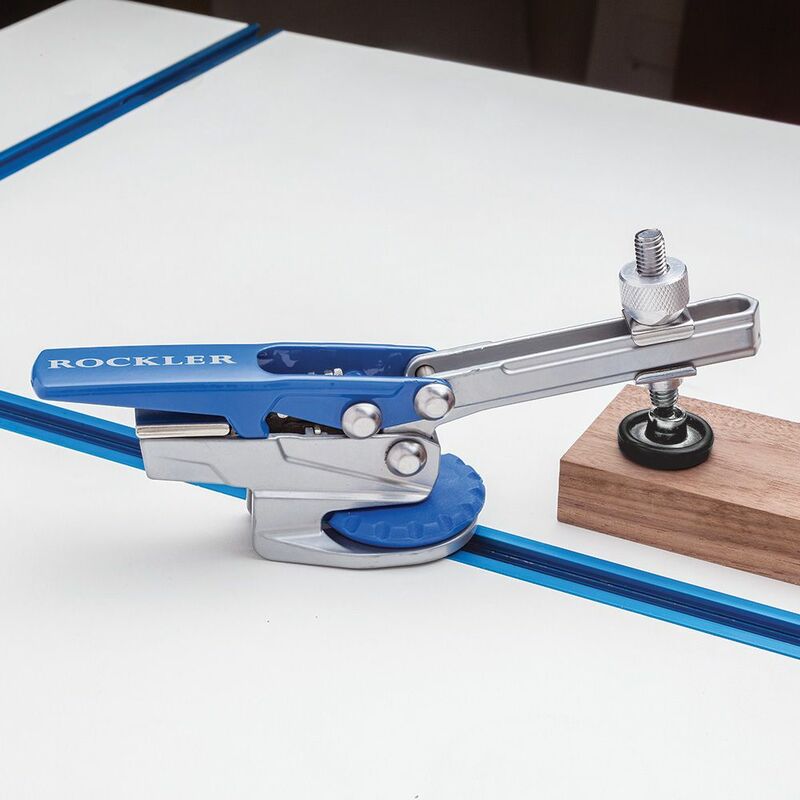 Tightening Rockler's new Auto-Lock T-Track Hold Down Clamp is literally an open-and-shut case—just press down the lever to secure anything from veneer sheets to lumber up to 2-3/4'' thick! Once set, the clamping pressure is always the same regardless of workpiece size, and is adjusted only if needed with the set screw. 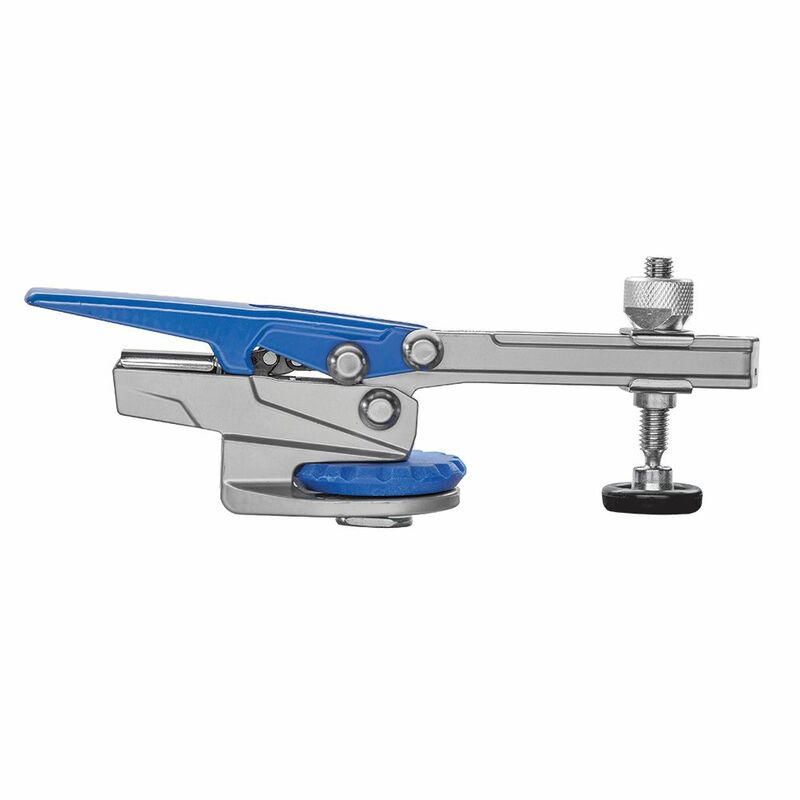 The clamp pivots 360°, allowing you to clamp near the workpiece edge to minimize obstructions. A large knurled wheel locks the clamp securely to the T-track. The toggle foot is adjusted with the knurled aluminum knob for best placement—no wrenches required—while the clamping foot pivots on a ball joint so it can adapt to any angle and is rubber coated to prevent marring. Simply lift the lever to release. It does what it says it will do. 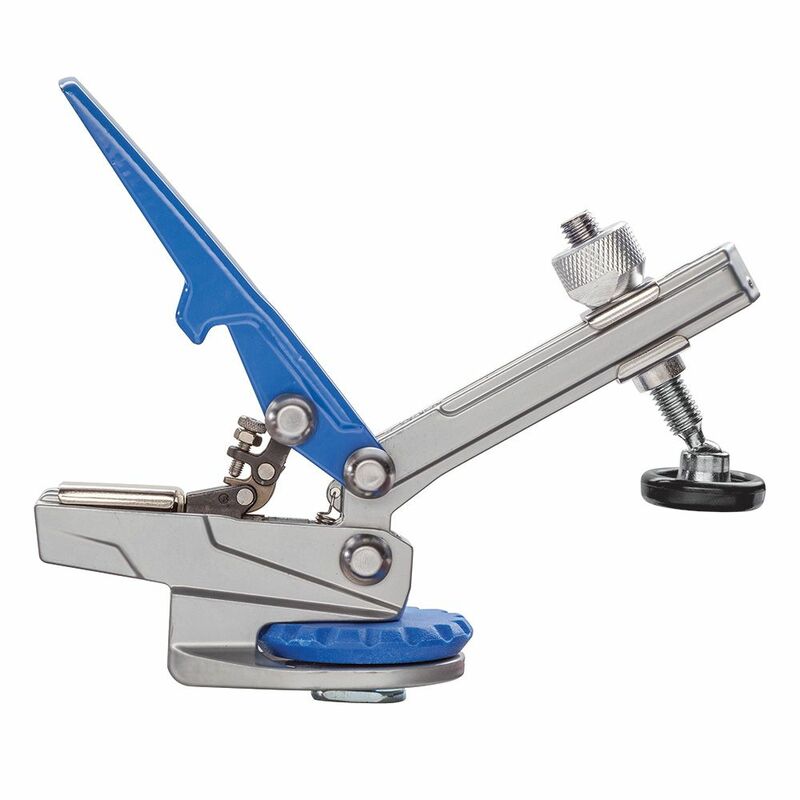 Adjustable clamp pressure and versatile clamp depth. Quick release lever make it efficient for shop jigs or a work table. I'm a segmented woodturner and need to make Precision Cuts. 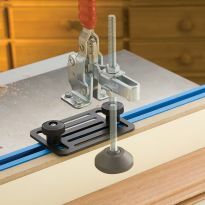 I use these clamps on a jig to cut segmented pieces in conjunction with a chop saw and they worked really good. I like them so much I'm going to order more for other jigs I use around my shop. 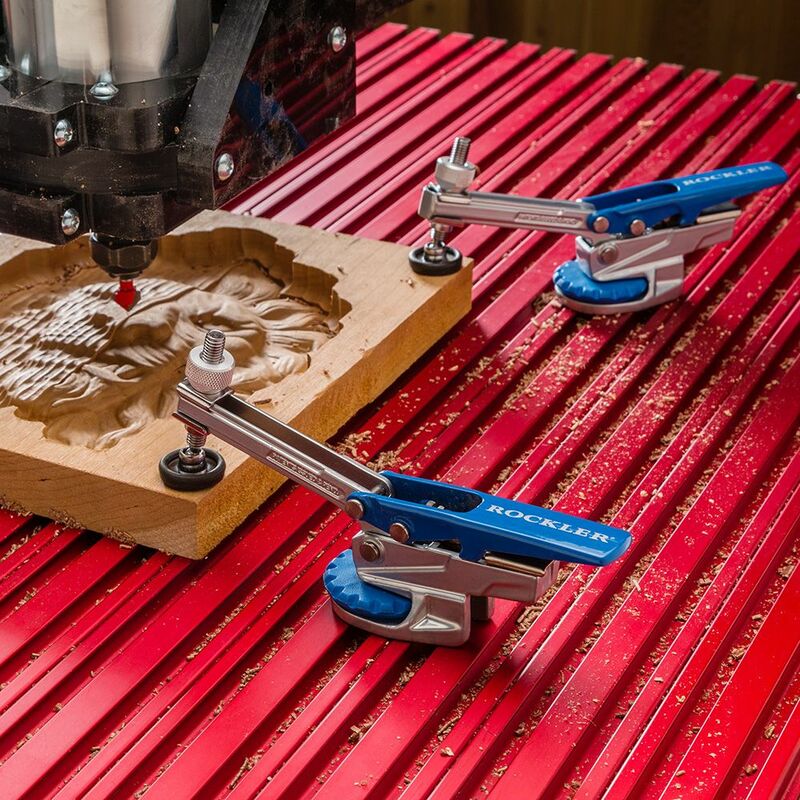 These are great clamps for quick changeovers on the cnc. I’ve notice that the adjustment screw either moves even after putting jam nut down, or the spring which acts as the self raising wears out..? One actually broke on me, but I brought it to a store and was replaced with no questions. So the longevity I think has variables, these are just what I’ve come across. But all in all I think these are good, especially with time of jobs. 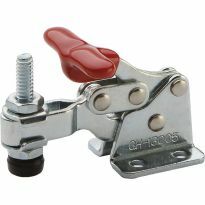 I am a luthier and used a set of two of these clamps, for clamping s soundboard down on a board for edge planning. I cut 4" holes and 2 of these hold everything down tight. Saves a lot of time compared to the vise clamps used previously. 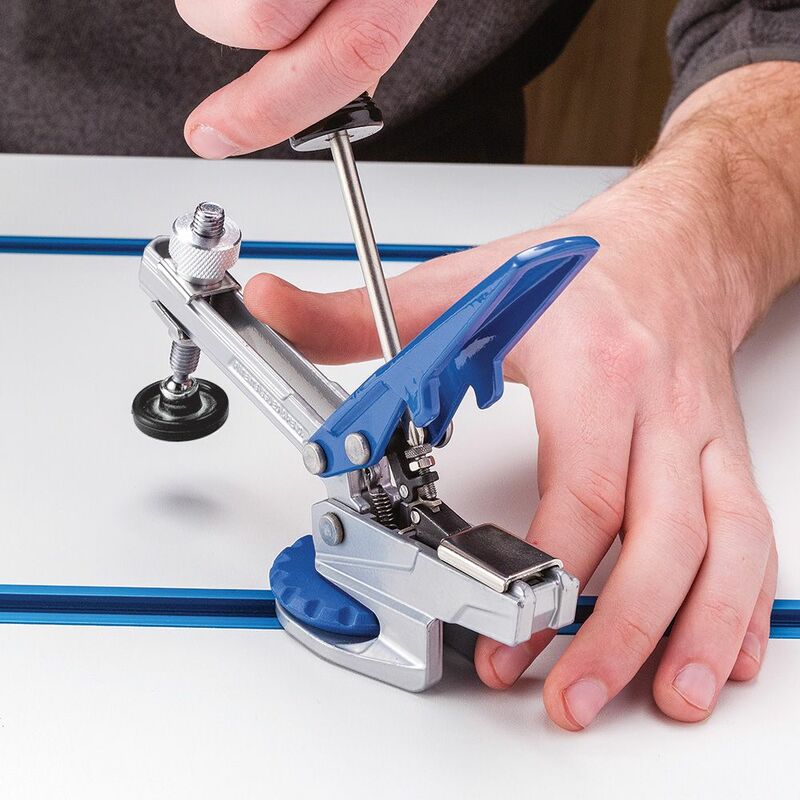 Fit the Jet drill press table tracks without problem. It took a little fiddling, but once I figured out all the adjustments they work great! Not have to make an adjustments for different thicknesses of materials is a nice touch. Plus they basically duplicate some of uses of the Kreg clamps, without having to get Kreg clamps. Saving me money already! Very useful,great design. Makes jig building very simple. I wasn't sure what to expect to be honest, but I was pleasantly surprised with these clamps. Plenty of clamping pressure and great adjustability. The knob that's used for fixing them in place on the T-track was better than I expected as well. I was concerned with it being plastic, but it's holding up well. It's easy and quick to tighten down, and also easy and quick to loosen so that you can slide the clamp in the track. Just make sure your track is screwed into something solid underneath. These put a lot of strain on the T-track when clamping with force, but I have my track fixed securely and boy do I love these guys. I reach for them almost daily. I use these on jigs, mounted in t slots, to clamp pices in place while I rout dados. They work well; the self adjusting feature saves a lot of time. I use mine at my drill press and T-Track table. Works great with my home made jigs using Rockler's T-Track. So easy to use. I keep one on my drill press and clamp everything, resulting in more precision on all of my projects. These are fantastic!!! So quick to use!!! Have 2 of these, and will get some more when on sale as they are kind of expensive. they are very helpful on projects built on T-track table. Very well built. Would recomend to a friend. Not quite as strong as the horizontal clamp, in my opinion, on thicker stock. But still an excellent clamp. I like how you can use it in many different places in your shop. regular toggle clamps usually get bolted down. I usually avoid self adjusting tools as being to variable and more trouble than they are worth. Very pleasantly surprised that this one works so well over a wide rang. Now has a perminant place on the track at my drill press. I use a lot of jigs in my shop, and a lot of hold down clamps. Since I do a lot of repetitive parts in different woods and thickness, this clamp saves me hours of set-up time. I can go from 8/4 to 4/4 with the same set-up. AND it holds. Seems to be a very good clamp. I will get several more now that I have used this one. 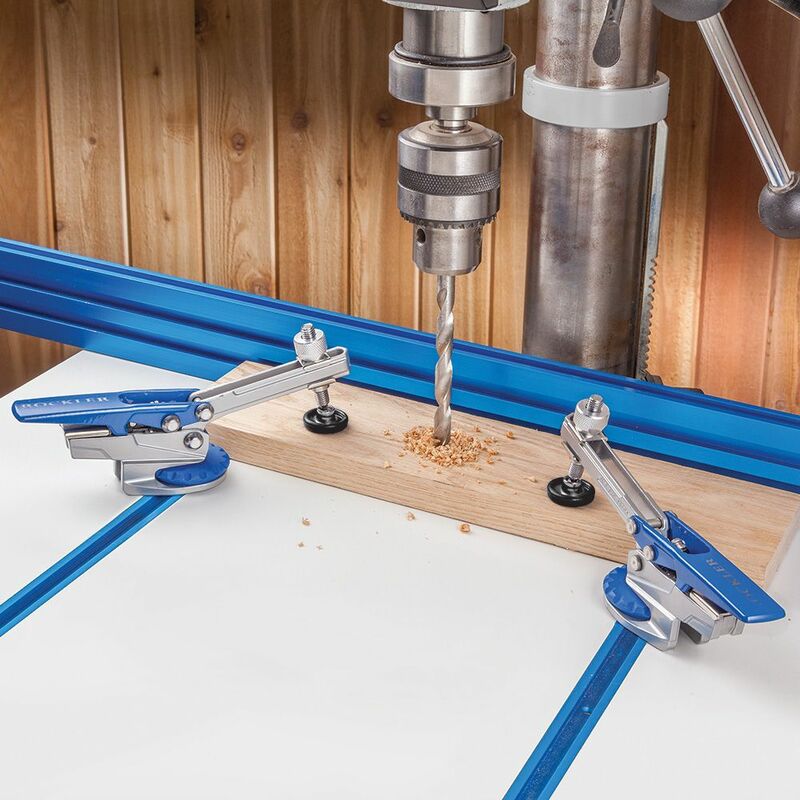 We have been using the Kreg clamps on our chop saw for holding aluminum extrusion in place while cutting. 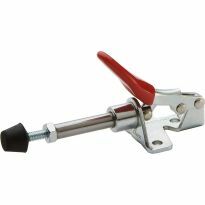 This clamp allows us to lock the clamp in place on the fence track and still have the ability of holding down a large variety of sizes of extrusion without adjusting the clamp. Works extremely well on the chop saw. 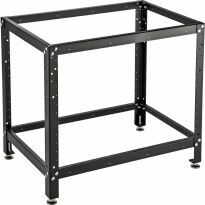 We will shortly try them on the cnc machine and our mobile workstation we are building but we anticipate flawless action. We already use 53734 in numerous applications. What a time saver. Use them on my CNC and on my ripping jig. It works exactly as shown in Rockler's video. Great item and with a bit of adjustment more versatile. Absolutely fantastic in jigs (specifically a "small piece" mitre sled). Only shortcoming is the 5/16" hardware does not fit Kreg & Incra T-tracks without bolt modification. However a simple 3D printed 1/4" nut retainer now makes a usable clamp on all my diversified t-tracks in my workshop. I put a pair of these on my drill press table ("t" track), the quick operation allows rapid movement of the workpiece under the drill bit while still providing excellent hold down force. No need to readjust the clamp when moving from thin to thick pieces. One of the 2 ordered arrived broken, likely from the factory as packaging would protect from damage. 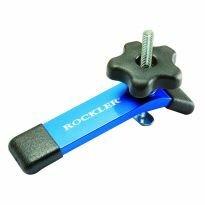 I called Rockler customer service and they forwarded a new one at no expense or hastle. The clamps work well. I use them primarily on sleds with my saw. However, they perforn well on a workbench too. I recommend them. It looks like good quality, but the bolt doesn't go deep enough to attach to the t-slot in my Delta drill press. I'll keep it around for a t-track project I guess. Very useful, but a little troublesome to get the right tension setting both initially and sometimes when changing to a different thickness workpiece. Very handy clamp, needs better description. I have bought 4 of these. They work very well where I can use them. The description leads you to believe that you can use them on any machine with that size t-slot. I have an Axiom auto route pro 8.Thease machines use waste board on the table. My T-bolt would have to be about 1 1/2" longer, and able to be adjusted as I resurface my table. I do use them if my work is 48" or longer or I am working at the edge of the table where I can get them next to the waste board, and the work very well. Except for the counter intuitive clamping pressure adjustment screw and difficulties of locking it in these are about my favorite clamps. The bolt used to secure the clamp to t-channels should have been about a half inch longer. The shorter bolts kept falling out as I moved the clamps from place to place. I replaced all of mine with the longer bolt and they work very well over a range of several inches. I was a little disappointed to find the clamps were designed around Rockler proprietary T track. 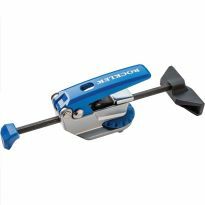 Since Rockler T track was twice the price of other T tracks, I had unknowingly purchased another brand. I was able to modify the mounting bolt and am quite happy with the performance and ease of use of the clamps. The clamping force is easy to adjust and they work as advertised. Easy to move and setup, wish the clamping pressure was greater, even adjusted for full force its not really what I expected. Worked as expected with a modified t slot for my table. The clamp works well. The tension adjustment could be improved. It took awhile to set. once it was set the clamp worked as advertised. They do auto adjust but I don't find the range is anywhere near the Veneer to 2-3/4" stated. The set screw that adjust the clamping force is tiny and can be hard to get at.. Also the toggle foot adjustment is a bit awkward to use and hard to tighten adequately when attached to a table. I got to of these to use on the tracks on my Jetdrill press. The T-bolt that came on the device was not long enough for the (non standard depth) t-track on my drill press but that was easily fixed with a hardware store bolt. That may all sound pretty bad BUT: l I like the unit and once you get it set up for a task it holds well and make fast work of repeated tasks. This worked OK for holding down something for drilling where the forces are primarily vertical. Even with the tension screw max'd out (I think, the instructions aren't clear), there is so much play in the mechanism that the work can wiggle around sideways with very little force. It’s an interesting tool in concept but difficult to adjust because it’s supposedly “self-adjusting”. There’s zero information in packaging or on website regarding how one employs the tiny bolt/lock-nut below the lever. Maybe it's me, but none of the 4 clamps I bought seem to lock down tight enough to clamp items in place. I can still slide the piece out from under them. The clamp was defective and broke when first used, prior to lock down. Main arm snapped under very little pressure. Other clamps seemed to work fine. Have started building an inventory of t-track hold-down devices. I need something to operate as this product does. Saw them at Axiom Facility, but they were out of stock, found them on your site. Purchased for the hold down capabilities. Looks good, I thought I’d give it a try. Building Jigs. Appears to adjust itself. Just finished building a T-track work table. 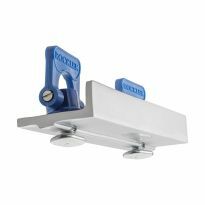 Checked for accessories with Rockler, item was on sale. Video provided pertinent information to help me understand how it worked. Price and features made this the best choice for me. Nice to have for a t track table system. I am building the crosscut sled from King Fine Woodworking plans and this is one of the components. 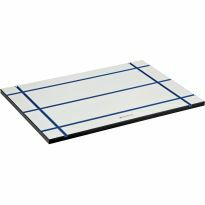 I am building a CrossCut sled From King's Fine woodworking and this is something he recommended but I can not purchase from his site redirect. Have two already. 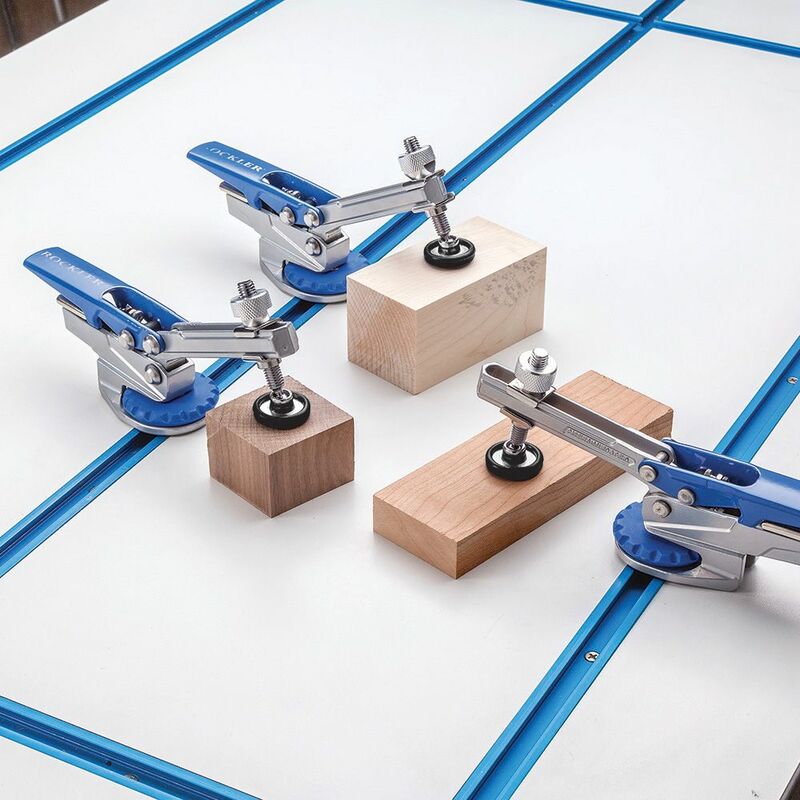 Fast and easy clamping. Faster and more convenient that the turn knob version. For my new table saw crosscut sled. Wanted to compare to typical toggle clamps (quality, action, ease of adjustment, range of adjustment, etc.). I'm building a crosscut sled for a table saw. Need more for templates on our CNC. This is a great item & works better than expected! I already have several of these and they are great. 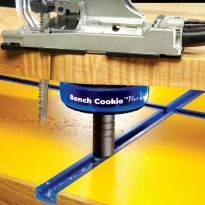 It's easy to use and securely holds down items on the work table (T-track is required). I really like this clamp. I would, however, like to have some with a longer reach than what is presently offered. Is that in the works? 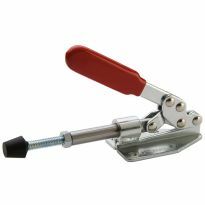 I purchased 2 of these, one clamps down nice and tight and the other does not hold the work piece tight at all. I can not figure out how to adjust it to clamp tighter. Can anyone help me? BEST ANSWER: There is a phillips screw near the hinge in the clamp handle. Screwing it one way increases the clamping pressure while screwing it the other way decreases clamping pressure. 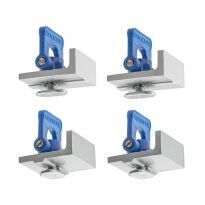 This is the same system that Bessey Clamps uses for their auto adjust toggle clamps. 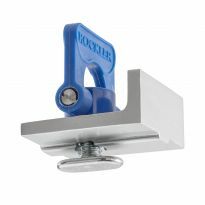 They are a great system but the Rockler has the ability to easily adjust the angle from the t-track. Bessey is adjustable but not as easily as the Rockler. I absolutely recommend this clamp to anyone with a t-track table. Perhaps you did not screw the clamp itself tightly on the track, or try the tension adjustment in the ase of the clamp. Good luck. Yeah the clamp is screwed tightly to the track and I have adjusted the screw in the middle of the clamp with no change in clamping pressure. See the Blue large dial, turn that to tighten in T-slot. It is not holding the piece of wood, adjust the height of the hex bolt at the end of clamp arm. That should work. BEST ANSWER: This clamp is made in China. Replace the T-bolt with a countersink 5/16 bolt inserted into a split hardwood mitre track with a countersink hole. Can I order from the UK? BEST ANSWER: Yes, you can order from the UK. When you check out you will get shipping options for UK addresses. Can the slot bolts be changed to 1/4" slot bolts? BEST ANSWER: I designed a wheel to accommodate a 1/4" nut based on the original wheel (using Sketchup). I then printed the wheel using my 3D printer. If you don't have a printer there are 3D services that could print it for you. Once adapted to accept 1/4" bolts, the clamps versatility grew at an exponential rate as 1/4" is a "standard" jig/fixture hardware. I just ground off a small amount of the 5/16 threads to make a 'channel' at the base of the bolt head to fit the 1/4" track. Takes about 30 seconds with a thin blade on my angle grinder. I think so. There could be a little slop in the structure, if non oem bolts are used. That could be a problem, if a lot of vibration was present, but the slots themselves can adapt to various size of bolts -provided the nut on the new bolt will provide adequate grip on the flanges that bridge the slot at top and bottom. Not easily. The threads in the circular tightening wheel are 5/16". 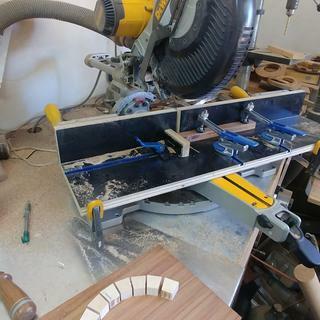 In order to replace it you would need to either manufacture a replacement using wood with a 1/4" threaded insert at the center or try to find a 1/4" knob that could be adapted or ground to fit. Can the clamping foot be turned 90 degrees to use as a pressroll for resawing on a bandsaw? Also does the clamp fit in the miter slot of a bandsaw? BEST ANSWER: Replace the T-bolt with a countersink headed 5/16 bolt inserted into a split hardwood mitre track with a countersink hole. Tightening the wheel should spread the mitre track and lock it into the slot. Yes, I used it with a Porter cable plunge router and it worked well. It says it comes with a 5/16" T-bolt, but the T-bolt I received is 1/2" x 13/16"; so it doesn't fit in any standard T-track. Am I missing something? BEST ANSWER: I see now. The bolt is 5/16", not the T-track that it fits into. So it happens to not fit the T-track on two of my rip fences, but that's probably because they're not standard sizes. One is from Shopsmith and the other is from Incra. But I'm sure it will fit the Rockler track I have on order. Yes, mine also came with 1/2” t-bolt but it does fit their track table which I also purchased. What size T-track is required for Auto-lock T-track clamp?? i don't use them i couldn't get them to hold tight enough. 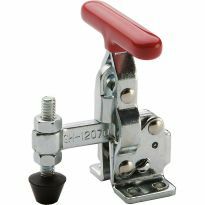 Is the extended reach large toggle clamp foot compatable with this?